Today, everyone has a mobile phone and most people always have their phone by their side. With the ever growing popularity of smart phones and communication through text messaging and smart phone apps, mobile phone marketing is an excellent way to distribute coupons and promotional information for your restaurant. Another benefit of Restaurant Mobile Coupons is that they are easy for your customers to use. Traditional coupons for restaurants and local restaurant coupons that you find in your local newspaper require that you cut the coupon out and carry it with you in your purse or wallet. The truth is that most people don’t bother to cut the coupon, forget to do so or end up losing it before they decide to use it. Mobile phone marketing provides coupons that your customers will always have with them. Typically, they will simply need to show the coupon to their bartender or server to receive the promotion. This convenience will send those last minute diners your way as they look for Restaurant Mobile Coupons in a mobile phone app or as they remember the text message coupon they received from your restaurant. Picture the scenario where friends text message one another looking to meet up for dinner and drinks, the next question is “where to?”. The modern consumer will look in a smart phone app for deals nearby or recall a text message promotion they have just received as they brainstorm where they would like to go. If your Free Restaurant Mobile Coupons appear in their app or if they have received Coupons for Restaurants from your Mobile Phone Marketing promotion, your restaurant tops the list in their mind. The next text message they send to their friend is likely to be “I have a deal at your restaurant’s name, let’s meet there”. Another benefit that Restaurant Mobile coupons have over the old paper restaurant coupons is the often unconsidered social aspect of using coupons. To many social diners, especially men, pulling a coupon out of your wallet is not seen as a “hip” thing to do. The popular savings site, Groupon, was able to make paper coupons more socially acceptable but you still have to print the coupon and buy the deal ahead of time. With Mobile Restaurant Coupons there’s no printing, no clipping and no money required upfront. The negative social stigma is removed since showing your phone to the waitress for a deal does not carry the same connotation. 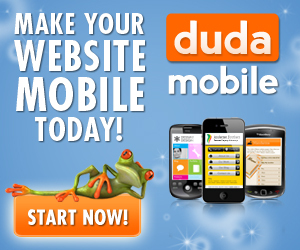 So how do you start your Restaurant Mobile Phone Marketing plan? It’s not as complicated and high tech as it may appear. There are companies like Trumpia, a leading text message marketing company, which can help you get started; they even have a free thirty day trial. Using a service like Trumpia can make it easy to get started and to experience the many benefits of using Mobile Phone Marketing to distribute your Mobile Restaurant Coupons easily and effectively. Free Mobile Marketing Video Training Course – Sign Up Below Now!